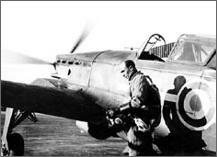 Jean Accart, french fighter pilot. Born on April 7, 1912 in Fécamp France. Jean Marie Accart began his professional career as a sailor for the "Compagnie Générale Transatlantique" before joining the French Navy on his 20th birthday. 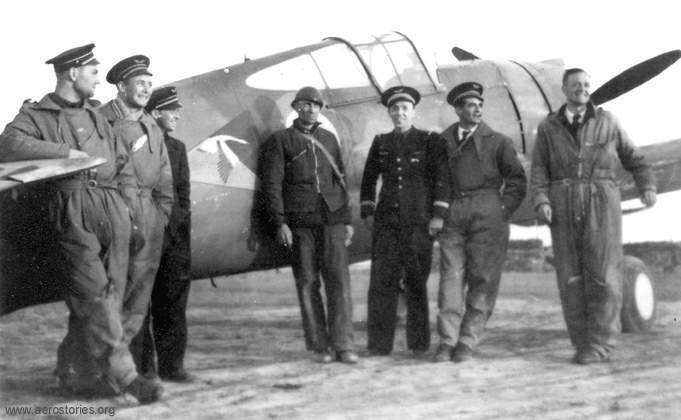 After volunteering for Naval Aviation he first became an observer, then a pilot with escadrille 3S1. In 1936, some escadrilles were transferred to the French Air Force where he was second in command, then commandant of Escadrille of GC 1/5. He was wounded in combat on June 1, 1940. He took advantage of his convalescence to write "Chasseurs du Ciel" (Hunter in the sky), a testimony of his group's action during the war. After recuperating of his wounds, he was assigned to the Southern region air defense headquarter. In November 1941, he took command of a newly formed section of advanced fighter tactics at the Air Academy in Salon de Provence. Released from duty during the armistice of November 1942, he made his way to Spain with several of his students. After being held in Spain for some times, he made his way to North Africa after the allied liberation, and he took command of GC 2/2 Berry, at its creation on January 16 1944. He stayed at the front until October then left for the united States to attend "The Command and General Staff School" in Fort Leavenworth. Assigned to the department of aerial studies and planning, he became the inspector general of the French Air Force juste before the end of the war. Promoted to Lieutenant Colonel, he became cabinet chief of the French Air Force headquarter in December of 1947, then deputy director to the flight test center in Brétigny in March of 1948. In July of 1951, with the rank of Colonel he was made inspector of the fighter arm. In September he was now commanding the Air Base 112 in Reims France, and he became second in command of the Etat-Major de l'Armée de l'Air (EMAA) four years later. On November 21 1960 he was nominated as the commandant of the first Tactical Air Command (CATAC) and French Air Force in Germany (FAFA), and he was promoted to Major General (RAF = air vice marshal) in January of 1961. After holding several other posts, he ended his career as Lieutenant General (RAF = Air Marshal), and inspector of armament fabrication program on March 30, 1965. Jean Marie Accart died on August 19, 1992. 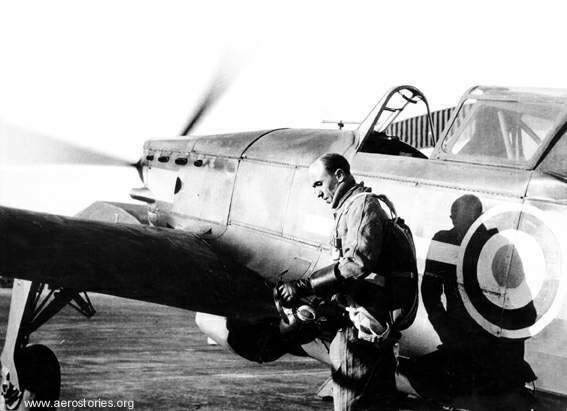 Captain Accart with a Morane 406 of advanced fighter tactics at the Air Academy in Salon-de-Provence in November 1941. 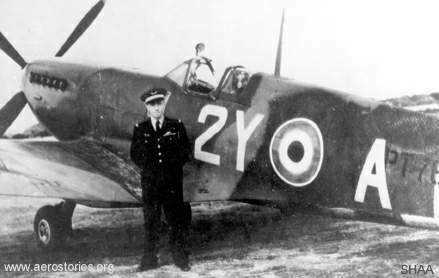 Major Accart with his Spitfire Mk.IX of GC 2/2 Berry, in August 1944.